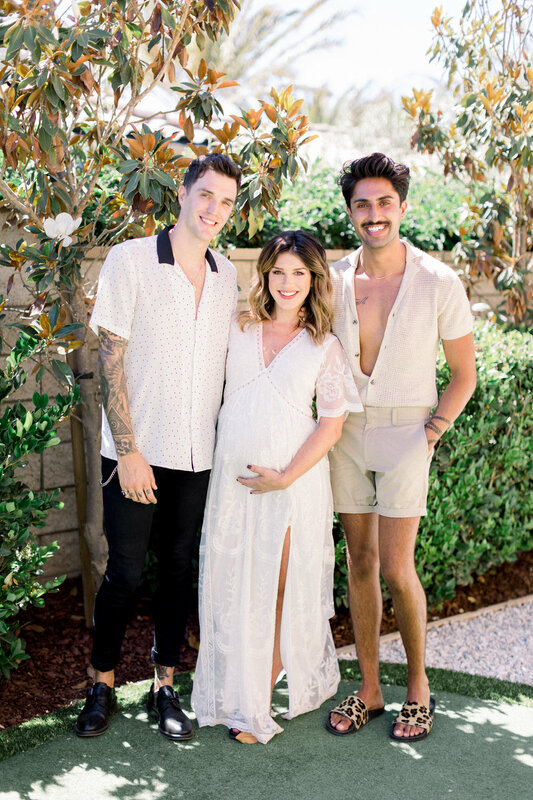 I cannot even begin to describe how much fun we had this past weekend celebrating the highly anticipated arrival of Baby Girl Beech!!! 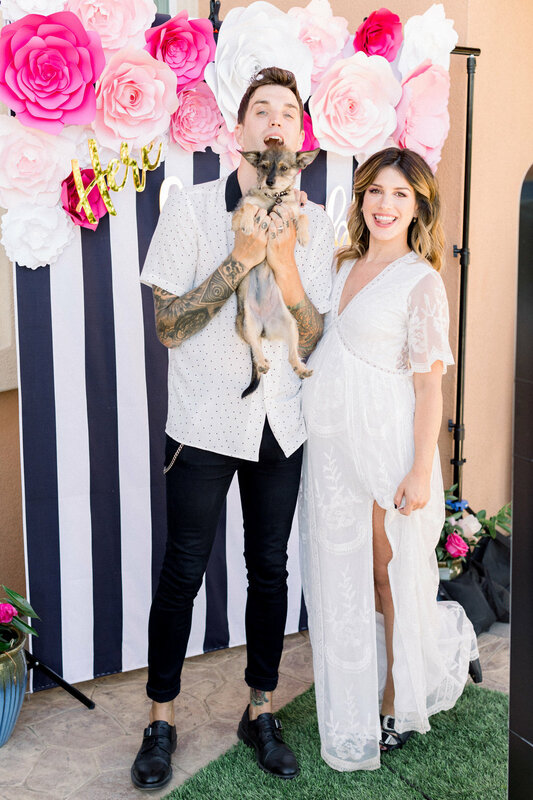 I already said it on my Instagram but I'm saying it again because my mind is still kind of blown by how much love we felt showered with at our baby shower... Milestone events like this often feel a little empty and bittersweet for us because both of our families live so far away and often can't be present but when the party was in full swing and we took a moment to look around and soak it all in, we quickly realized we were in fact surrounded by family after all! There was so much love in that room... or in this case, backyard! Our friends in LA have really become family to us and we are so unbelievably grateful to have them in our lives. I am so proud of the family and world that we have built for ourselves out here in Lala Land and it's on days like that special day of our shower that I smile to myself because I know I'm no longer "lost in lala" at all. I've found my place. I've found my people. And I'm one half of a partnership that is ready to take on an incredible journey that I'm so appreciative to have celebrated and supported by too many loving aunties and uncles to count! WATCH MY BABY SHOWER HAIR & MAKEUP TUTORIAL HERE! One of the fun party favors I was most excited for our custom wrapped selfie stand from The SnapBar! The set up of the selfie stand was super easy and straightforward and guests had so much fun taking fun GIFs and photos with it. 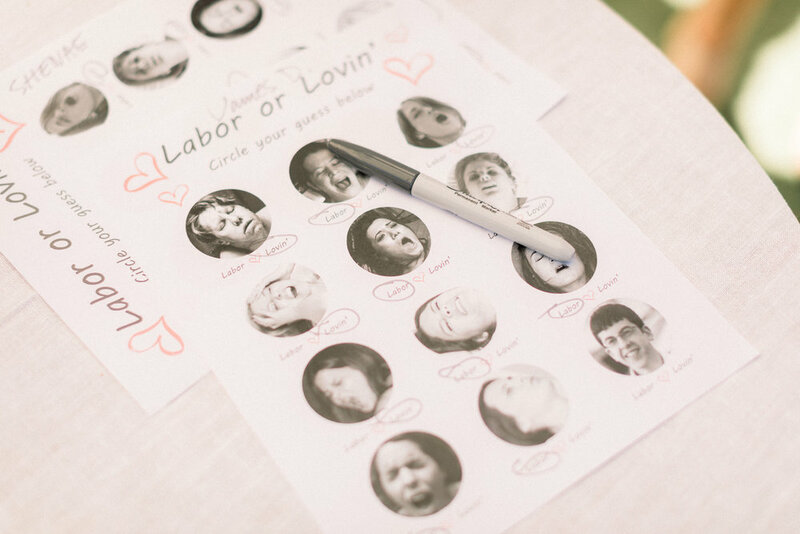 I also loved the personalized touch of the custom Here Comes Trouble stand wrap and the fact that each file was sent to guests with a custom 'Shenae & Josh's Baby Shower' watermark and a "thank you for making a memory with us" note attached! The backdrop was something my friends and I crafted using a backdrop stand and basic striped backdrop I bought off of Amazon. We then attached these gorgeous paper flowers provided by Paper Flora and an adorable Here Comes Trouble laser-cut sign from Delovely Details. So many friends from so many different walks of life were there to celebrate with us and an extra special thanks goes to the one in the photo above (Chris Rossi) for hosting the festivities at his incredible home and the one behind the lens (Lucas Rossi) for capturing the day so beautifully with his incredible photos. If you're in the LA area and ever in need of an amazing photographer for any special events, Lucas is so insanely talented. Check out his full body of work here! Our guests drank loads of my favorite sparkling water, La Croix and amazing champagne, rosé and red wine from One Hope Wine ... which I may or may not have snuck a few bottles of into my car to hang on to for safe keeping until after baby girl's arrival. ;) We also had the most delicious dessert table and gorgeous cake from Polkatots that was served up on stunning vintage serveware from Minted & Vintage! All of the linens from tablecloths to buffet runners to pillow were from La Tavola Linens. The breathtaking flower arrangements seen throughout the party were provided by literal flower wizards Unique Floral Designs. Lastly, balloons were provided by La Jolie Fete and the adorable signage welcoming guests and providing buffet menus were from She Wildfower. Guests had fun playing games created by my lovely dear friend Ashley and playing in the pool on Instagram-worthy floats from Sunnylife. Our friends put their money where their mouths are betting on Baby Girl Beech's arrival, got super competitive guessing baby item prices for a game of Price is Right and had a good laugh playing Labor or Lovin', a hilarious party favorite! Thank you for coordinating the fun, Ashley!!! Thank you to Victor, Amaran and Laura for helping me coordinate, organize and set everything up! 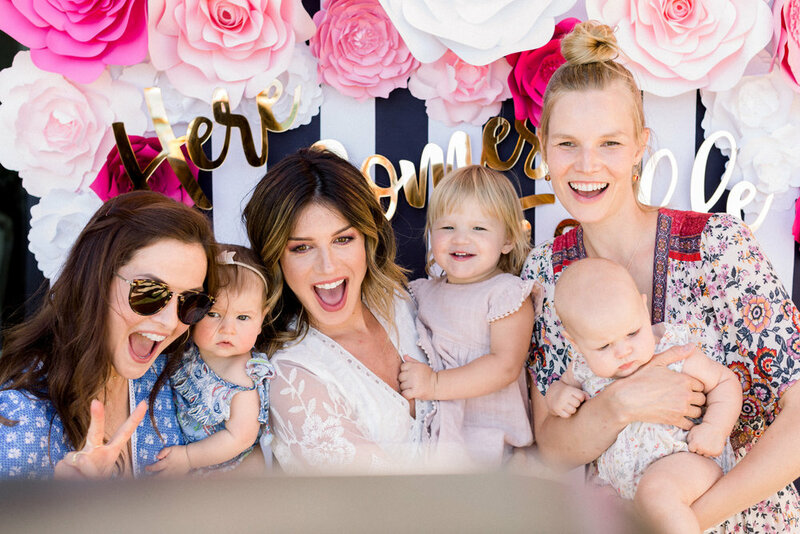 This party was something pulled straight out of my dreams and I can't believe how much it exceeded any hope or expectation I had of our ideal baby shower for Baby Girl Beech! We love you all!!! EVERYTHING YOU NEED FOR FALL... IN ONE BOX!